Why is it that some couples can work so well together while others do not? Having worked with my own husband for nearly 10 years, I can tell you that it does not always come as easy as people might think. The decision to work side by side will not always produce a healthier version of your marriage – in fact, it can often cause division. Mastering the art of communication takes time and practice. Here are some tips to help you work productively with your spouse – no matter if working from home or out at a location. Spending time with your spouse in a working environment is a different experience than spending time together outside of work. Your focus is not on personal issues but professional ones and it is important that your spouse recognizes when you are in ‘work’ mode. For example, there were days when I would be working intensely on a number of tasks, whether it was balancing our books, or writing collection letters to our customers. My husband would frequently start talking to me or asking questions on topics outside of work – such as if I wanted a cup of coffee, or what did we want for dinner. However my responses were often short phrased and void of any eye contact as I was very focused on my task at hand. At one point, he made reference to the fact I was not talking to him and he kept thinking I was mad at him. Realizing what was going on, I apologized and then explained that I was in ‘work’ mode and simply focused on what I was working on. The phrase stuck. Today if I get the sense he wants to chat I preface by telling him I’m in ‘work’ mode and if he doesn’t mind, I need to finish what I’m working on. Before defining what work mode was, my husband would experience feelings of hurt or even rejection because I was not engaging in a manner consistent with our personal relationship. Once we were able to recognize that there was a separation, he was and still is, able to recognize my work mode demeanor without taking offense. If you struggle with interacting differently with your spouse on the job than off the job, try recognizing your ‘work’ mode so you both can be professional adults and avoid getting needlessly hurt or frustrated. Your spouse is not a regular fellow employee. This is the person whom you will go home with, eat dinner with, watch TV with, and go to bed with. So any arguments or word fights cannot be ignored until the next day, they will instead affect your relationship for the rest of the night and into the morning if not dealt with. The Bible says not to let the sun go down on your anger and for good reason too. Anger and hurt feelings can fester over time if not dealt with. As with a spouse, it is more crucial than ever to deal with any issues or arguments before you head to bed. However, as a working couple, try to deal with these types of issues before you even leave work for the day. My husband and I would work all hours of the day and when we would have an argument, we learned to stop what we were working on and deal with it right then. Sometimes it would take an hour to work through the argument, but it was always worth it in the end to not harbor any ill will or hurt feelings. Whatever task you are working on at that moment is not as important as your marriage. Learning to speak words of encouragement is truly important. Not only can words cause pain and hurt pain, but they can also edify and encourage. Words can either create a negative atmosphere or they can create a positive atmosphere. The kind of atmosphere you will work in will be determined by the words which are spoken by you and by those around you. Working with your spouse is a great opportunity to cultivate your marriage through the use of encouragement. Despite your work modes, the fact of the matter is that you are still married and have a marriage relationship, which should always take precedence. Therefore, when working together look for ways to encourage each other – albeit a specific talent, an act, or an accomplishment. You cannot treat your work relationship as unrelated to your personal relationship. The two are related and will affect each other. Therefore, if you fill one relationship with positivity, it will inevitably spill over into the other, and vice versa. Positive or negative – the choice comes down to your words. 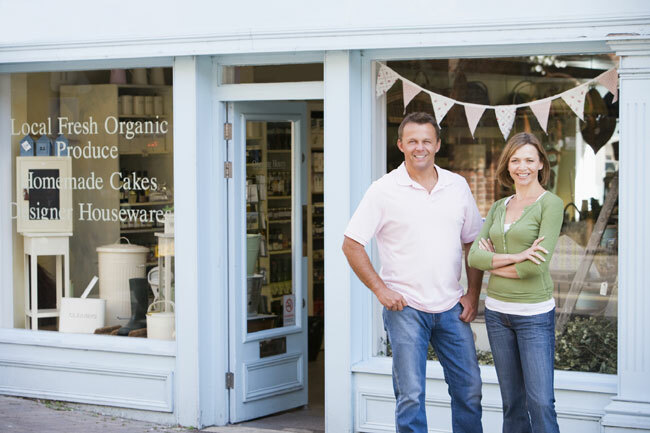 Working with your spouse can be one of the greatest experiences you will ever have. But just as a marriage relationship takes work, communication and dedication, adding a working relationship into the mix will require just the same amount of effort – if not more. However, do not be disheartened because overtime, dealing with conflict will become more natural and less stressful. If you learn to communicate and deal with issues in your work relationship, you will find it easier to apply those rules of to your personal relationship and this will help build a healthier and stronger relationship. Liz Krause enjoys writing and talking about various topics relating to working with a spouse. She has worked for nearly 10 years with her husband growing their software company. She is currently working with a company that is a sip trunk service provider which specializes in Microsoft Lync SIP services. She continues to work part time with her husband. They have excellent communication skills and she attributes this to the fact they were working side by side for nearly a decade and had a strong determination to always find resolution in any conflict. 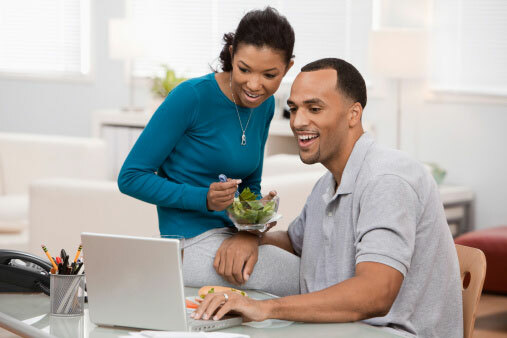 Here are some tips to help you work productively with your spouse – no matter if working from home or out at a location. Thanks for this article! It is definitely an important issue and I liked how you made the marriage the priority and the focus of being successful in business. I appreciated that! Glad you liked it! Thanks for visiting.